Don't keep us a secret and save some money! Bring a friend and both of you save 15% off service! 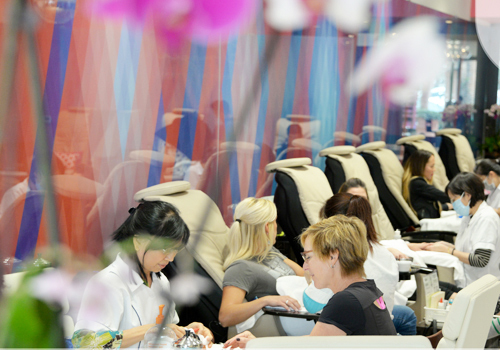 When you introduce a new client to Images Luxury Nail Lounge, we’ll give you and your friend an instant discount of 15% on your service. Images Luxury Nail Lounge is the premier luxury spa location for your manicure and pedicure needs so it only makes sense to let someone else know! Why keep us a secret a minute longer? Let us treat you today!